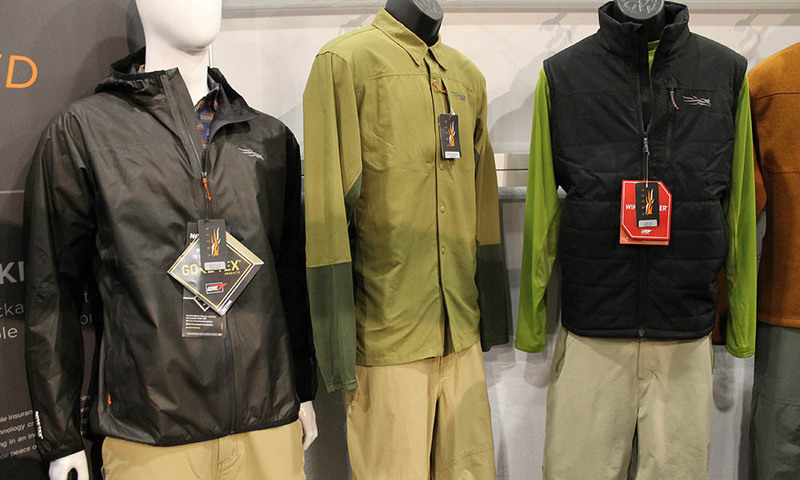 The Shooting, Hunting, Outdoor Trade Show wrapped up its annual trade show in Las Vegas, NV in late January and the floor was full of new products for 2018. The future looks bright for everyone who loves the shooting and hunting sports. Here are some of my favorite items for the outdoorsman. 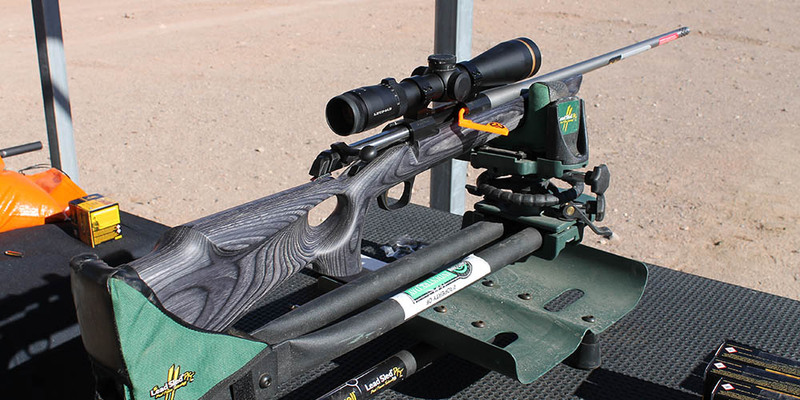 The Browning Eclipse was one of the guns that stood out at Industry Day At The Range. The grey and black laminate stock with matte finish caught my eye immediately. Sitting at the shooting table the gun fit my hand and mounted exquisitely. Firing the 6.5 Creedmoor through this rifle was one of the highlights of the day. The matte blued receiver is mated to a matte finished stainless barrel comes threaded for a suppressor. For those that do not have a suppressor, the threads are protected with a muzzle-brake. The standard removable rotary magazine holds four rounds with an additional one in the chamber. Weighing only 6 pounds 7 ounces, the Eclipse is a joy to handle and shoot. The Eclipse will come in twelve of the most popular calibers for 2018. When choosing a new rifle, choose the Browning Eclipse. When it comes to quality binoculars, it is splitting hairs among a few top brands. For my money, Steiner is the go-to place for quality binoculars with crystal clear glass at a great price. The HX series of binoculars by Steiner are some to consider. The 10×42 are what I personally consider some of the best for hunters. If traveling by horseback or walking, the 10×56 are a better choice. The added weight is the only reason I opted for the smaller 10×42 versions of the HX series. The 10×42 version comes in at 28 ounces while the 10×56 are 42.6 ounces, and this is a considerable difference for those who plan to spot and stalk or backpack into remote hunting areas. Steiner also introduced for 2018 their Shadowquest line of binoculars. Available only in a 56mm objective, these are impressive binoculars but a bit on the heavy side for my liking. Still, if weight is not a consideration for you, the price point for top quality binoculars is something to consider. 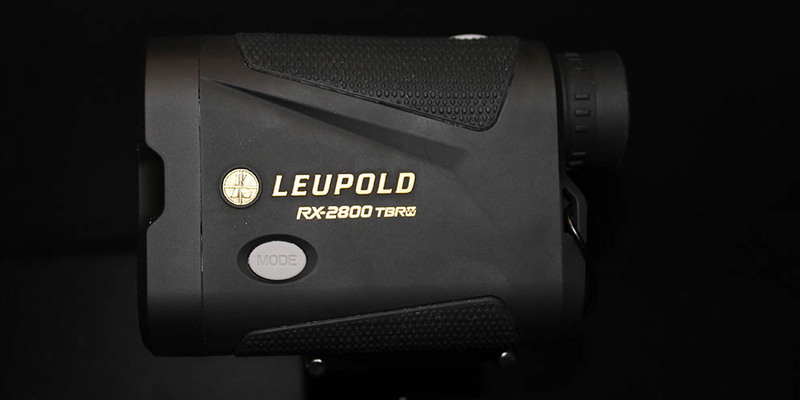 The Leupold RX2800 has the unique ability to find objects that are further out than most hunters can shoot, and it can accurately range them in micro-seconds. One push of the button and the illuminated reticle will display yardages to the user for accurate shot placement. The designer of the rangefinder has tested the 2800 out to 3000 yards and beyond with extreme accuracy. The RX2800 is small, compact and less expensive than many other rangefinders with better features. This is perhaps the best buy at the show this year. For years hunters have gravitated to the VX line of scopes by Leupold. These scopes have arguably killed more game in North America than any other scope. Now Leupold has once again upped the ante with the new VX Freedom. Built upon some of the same features that made the VX line so popular, the new VX Freedom offers hunters a variety of options to choose from with that signature Leupold quality built-in. The 4-12×40 is my favorite for a variety of reasons. Having hunted from the thick southeast to the open expanse of the prairie, the 4-12 gives me the best of both worlds in one scope. Manufactured right here in the USA, the Leupold is a great buy for hunters looking to top their gun with a quality scope. Long known for their motto “turning clothing into gear,” Sitka Gear is introducing a new Training, Travel and Workwear line of clothing. Using the same highest quality materials in the industry, the TTW line of clothing is impressive. Based on lightweight T-shirts, shorts, and shirts designed for mid-season scouting, the TTW line will definitely have something for you. Travel clothing is designed to provide comfort while spending long days in trucks or airplanes. The lightweight clothing will stretch where you need it and provide ultimate comfort for those days of travel. Workwear is designed to provide the wearer with all for the protection they need while also allowing the user to be comfortable. The Highland Over-shirt takes the shirt-jacket to another level. Whether you are cutting and hauling firewood or doing chores around the house, this is a great garment to have around. The TTW from Sitka will allow those who love the Sitka brand to live the Sitka lifestyle. 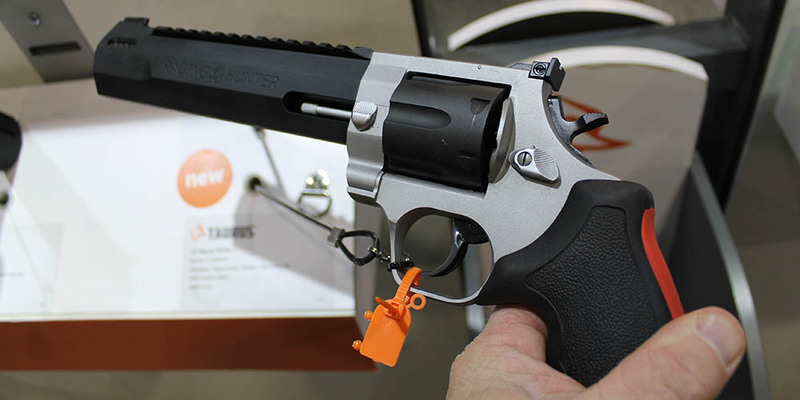 Taurus has long been setting the bar for big bore revolvers. The New Raging Hunter is no exception. Designed for the hunter, the Raging Hunter features an aluminum shroud over the seven inch barrel. Available in .44 Magnum, the six shot revolver comes in two color variations: Matte black and a two tone Stainless and Blue finish. The Raging Hunter comes with a Picatinny rail to mount your choice of optics for a pure balanced hunting handgun. Aiding in recoil management is the unique placement of the factory-tuned porting and gas expansion chamber that is designed to disperse gases directionally. This placement helps to reduce muzzle lift and allows for faster target acquisition. As a handgun hunting fan, I can certainly see how this will be added to my collection in the near future. Buck has long been a favorite for sportsmen and women. Their quality is a standard in the industry. For 2018 they are introducing a new line they call Open Season. This line features knives for any season, from filet knives to capers and skinners. The dainty caper caught my attention, perhaps because I am partial this blade design, but mostly for the balance and feel of the knife. The satin finished S35VN stainless steel and light green micarta handle are a beautiful match for a great feeling caper. The Caper knife sports a 3.5” blade finished with Buck’s advanced Edge2x blade technology for unbelievable sharpness and blade retention out of the box. 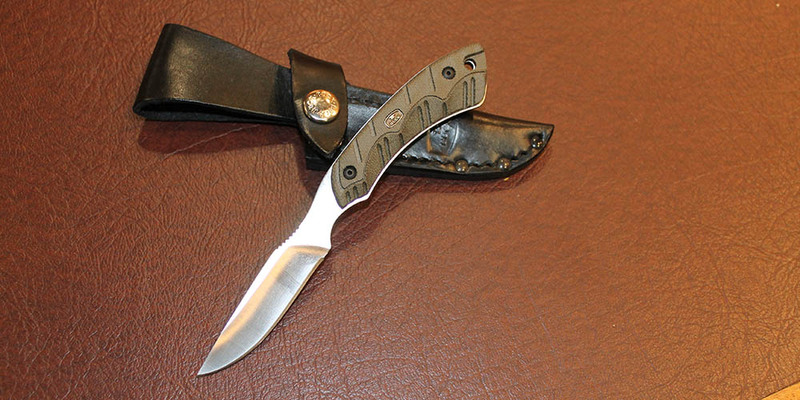 The caper comes with a beautiful heavy duty black leather sheath. Unique-ARs has developed a grip that will allow you to add a custom grip to any AR. It is a simple design that will fit any AR platform. The Unique-Grip slides into the place of your current grip, and you simply squeeze the grip tightly and then secure the grip with the provided bolt onto the gun. The grip is now customized to fit your hand perfectly. No molds, no goo to mess with, just a grip and tighten a screw and you have a custom grip for your AR. It is no secret that I am a fan of Nanuk protection cases. Their design, latches and weight are the best in the business. This year Nanuk is introducing several new case designs. 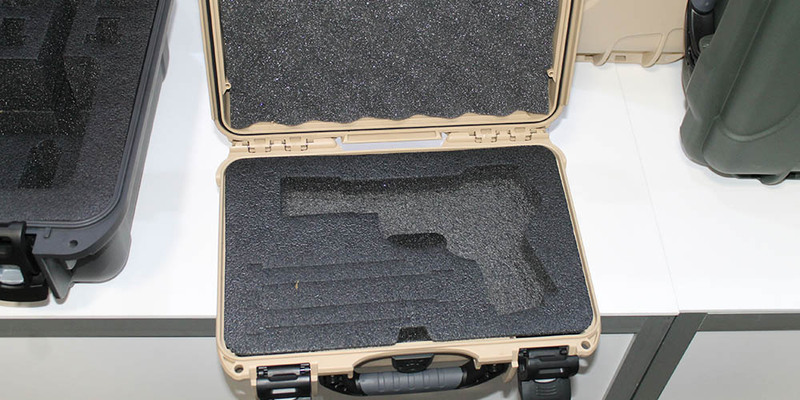 The 930 is designed to be a single handgun case with custom molds or a “do-it-yourself” foam. The standard 1911 mold will hold most 1911 framed guns. Other molds are available. With the price of guns increasing, a sturdy, durable case for transportation is a wise investment and easy insurance. The 930 is your choice. For long guns, the double long gun case is a favorite of mine and will be forever.